The Global 100 Most Sustainable Corporations in the World (the Global 100) is the world’s pre-eminent sustainability equity index. It is maintained by Corporate Knights, a Toronto-based media and investment advisory company. 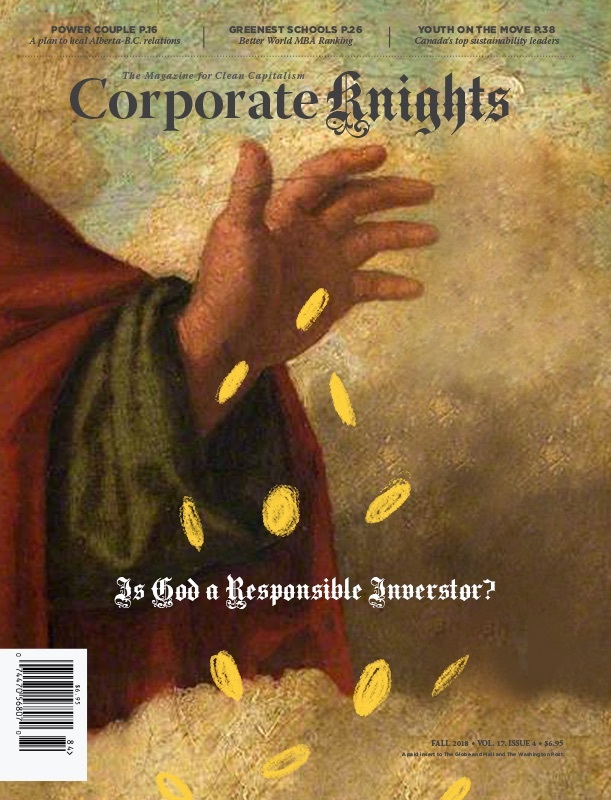 The media arm publishes Corporate Knights Magazine, the world’s largest circulating magazine focused on responsible business. The investment advisory arm, Corporate Knights Capital, builds indexing solutions and market-beating portfolios for institutional clients. The Global 100 is calculated by Solactive, the German index provider. It is available on Bloomberg under the ticker <CKG100 Index> and on Reuters under the ticker <.CKG100>.